The IEA, OPEC, and EIA released new monthly reports for August, offering the latest snapshot into the oil markets. The main takeaway in the IEA report was that global oil markets are balancing, although slowly. Demand is accelerating as consumers around the world take advantage of low oil prices. The IEA estimates that demand will rise by 1.6 million barrels per day (mb/d) in 2015, the fastest pace in five years and a sharp jump from the 1.4 mb/d estimate last month. In other words, demand is rising and supply is contracting, pointing towards a balancing in the oil markets. The big question is when will the markets finally rebalance? Despite slowing non-OPEC supply, on the whole “global supply continues to grow at a breakneck pace - currently running 2.7 mb/d above a year earlier,” the agency says. So even though demand is growing at its fastest pace in five years at 1.6 mb/d, that is overwhelmed by 2.7 mb/d supply expansion expected this year. 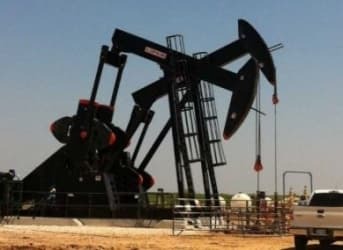 As a result, the IEA thinks the “process is likely to be prolonged as a supply overhang is expected to persist through 2016 - suggesting global inventories will pile up further.” Energy analysts have kept their eyes fixed on U.S. oil storage levels, but the IEA says that with global output exceeding demand by 1.4 mb/d in the second half of this year, storage levels around the world could be tested. And none of this takes into account the possibility of Iranian oil coming back online. OPEC’s monthly report provides numbers that are not drastically different. OPEC is a little less bullish on global demand, expecting demand to rise by just 1.38 mb/d this year. But the group also thinks that non-OPEC supply will grow slower than the IEA estimate, expanding by just 0.96 mb/d in 2015. And OPEC is doing its part to keep the world oversupplied. OPEC’s collective output surpassed 31.5 mb/d in July, above the group’s target of 30 mb/d. That came after several members increased output. Despite the turmoil in Iraq, including the inability of Kurdistan to pay private oil companies and the ongoing fight against ISIS, the country managed to produce oil at record levels. Iraq increased production by 46,000 barrels per day in July, hitting a record high 4.07 mb/d for the month. More intriguingly, Iran increased production by 32,000 barrels per day. The flood gates of Iranian oil won’t open for a while, but last month’s gains portend a rush of new Iranian oil at some point in the not-so-distant future. One thing all of the energy projections agree upon is that U.S. shale producers, despite their resilience up until now, will bear the brunt of the production decline over the next year. The EIA estimates that production has already begun declining, having dropped 100,000 barrels per day in July, with monthly declines expected through much of 2016. The EIA believes U.S. output will drop from 9.4 mb/d in 2015 to just 9.0 mb/d next year, a large downward revision compared to estimates from just a month ago. Related: When Will Oil Prices Turn Around? And eyeing the collapse in oil prices since June, the EIA also expects prices to only moderately rebound next year. The agency expects Brent crude, currently trading around $49 per barrel, will only rebound to about $59 per barrel for 2016. While the numbers vary from report to report, all three energy bodies argue that the oil markets are heading in the same direction, albeit at different speeds: oil markets are rebalancing, with supplies slowing and even declining, while demand is picking up. It’s just that none of them expected the rebalancing to take this long. The Oil Price: How Low Is Low?